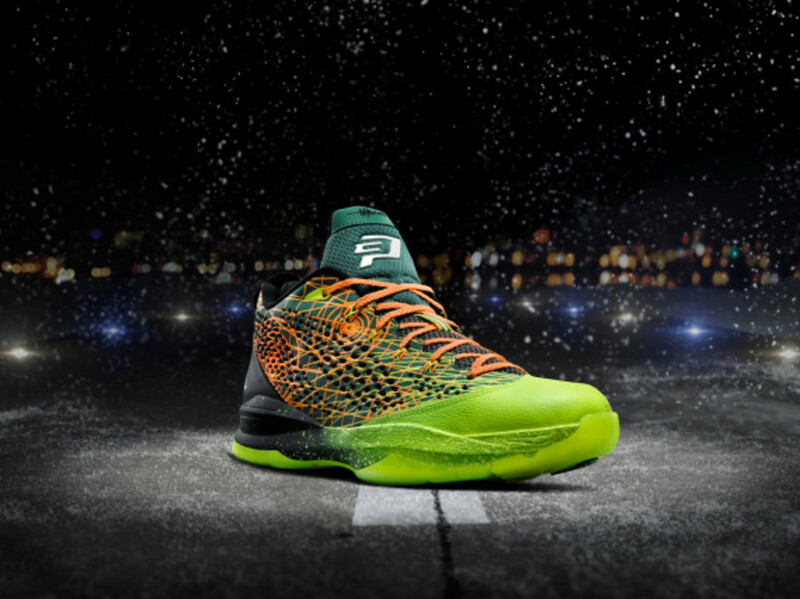 Joining this Christmas-themed Melo M10 is another Jordan Brand signature signature sneaker imbued with the holiday spirit: the Jordan CP3.VII, featuring a design that pays homage to air travel, one of of the hallmarks -- or necessary evils, depending on your point of view -- of the holiday season. 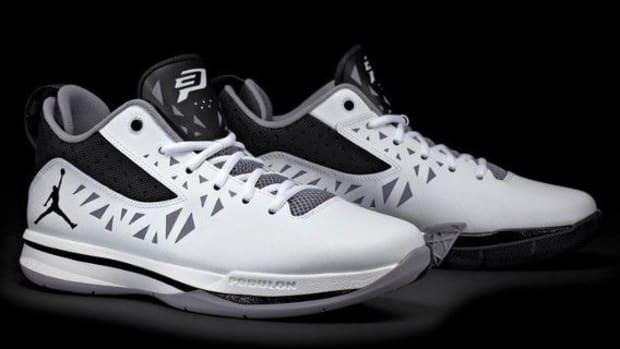 (Of course flight isn&apos;t an unfamiliar theme when it comes to Jordan lore.) 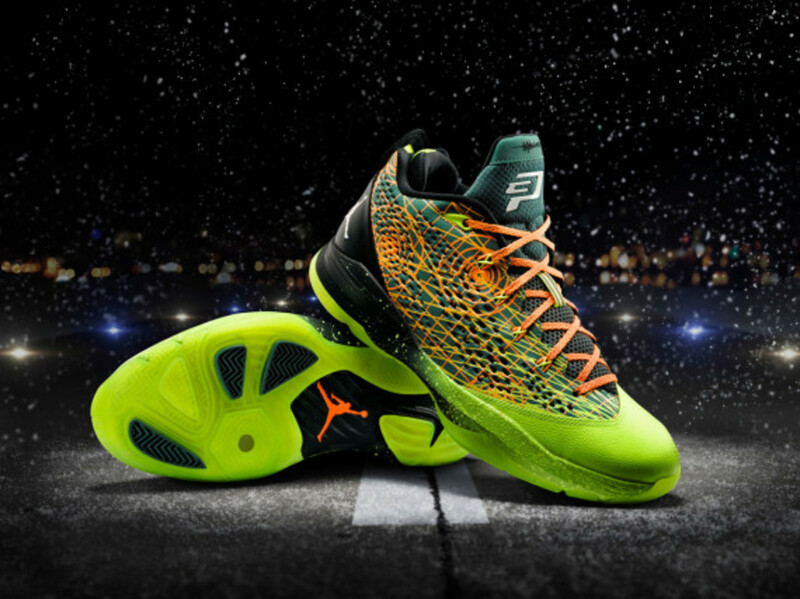 The shoe&apos;s upper is criss-crossed with the orange lines of a radar chart shot through with circular patterns, while the contrasting green shades present an interesting take on typical Christmastime colors. 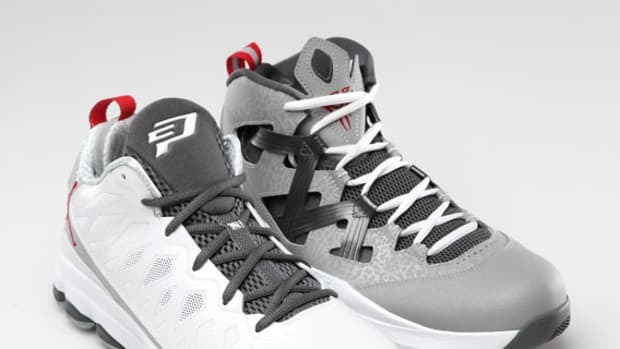 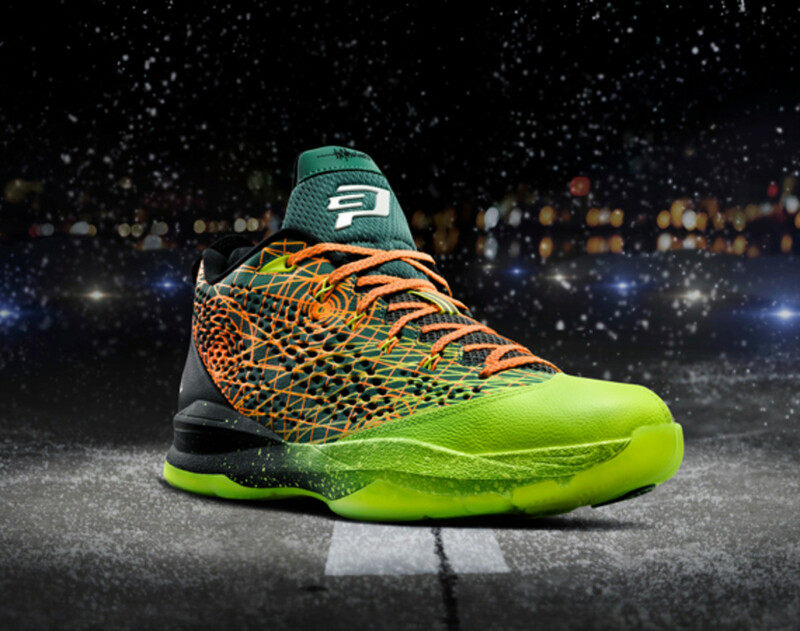 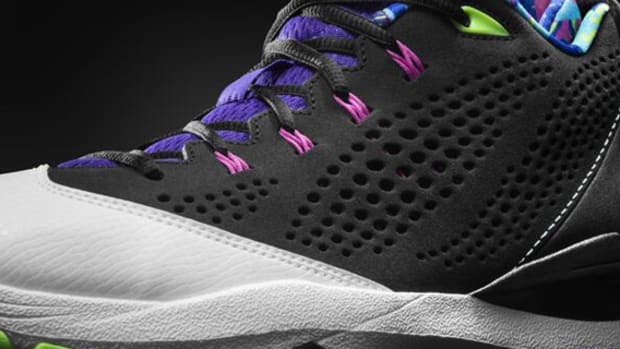 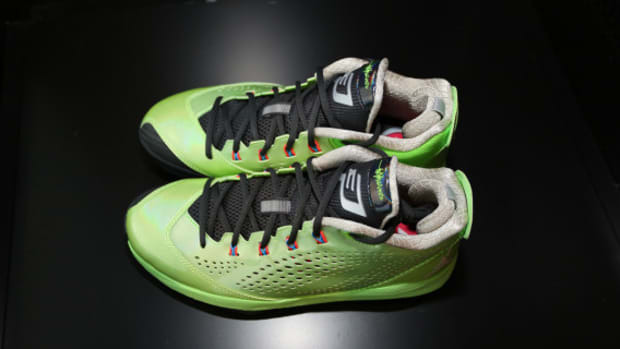 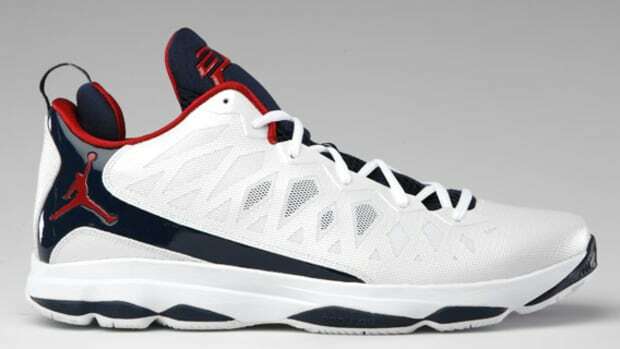 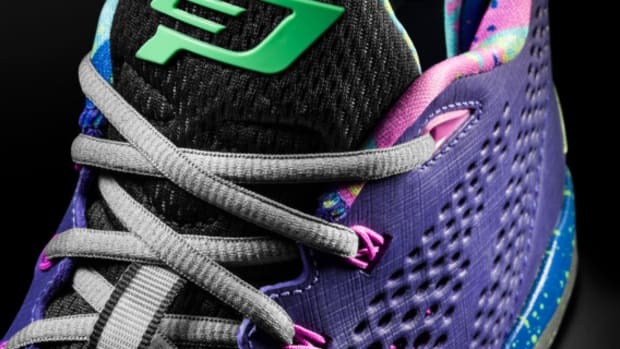 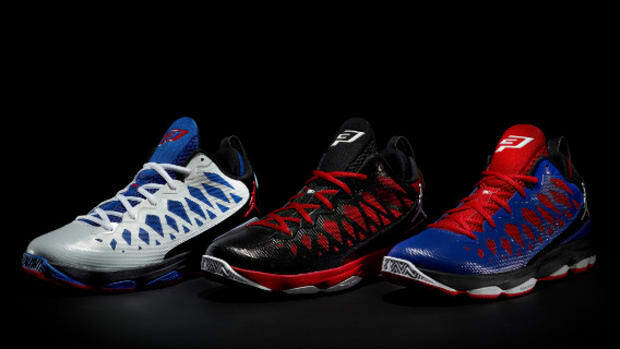 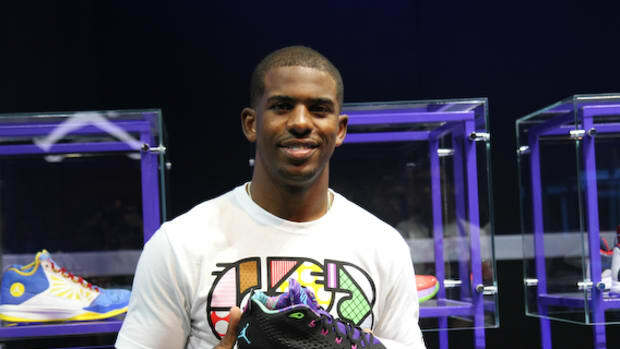 Continue reading for additional images, and look for this special edition Jordan CP3.VII to hit stores December 24th.